Nice spot at Waimanalo Beach with sand and pine trees for some greenery in the Bridal photos. The beach photo is probably the best shot of the bunch. And close up view is better to see the Bride's face. 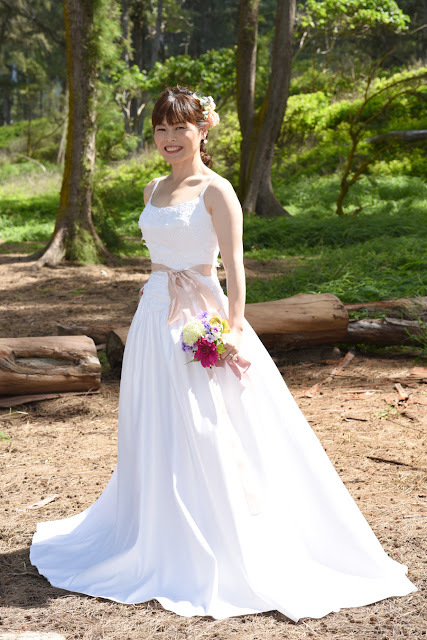 Visit NOBUO & TOMOMI to see more Waimanalo wedding photos.